Hello and Happy November! It feels like October flew by. 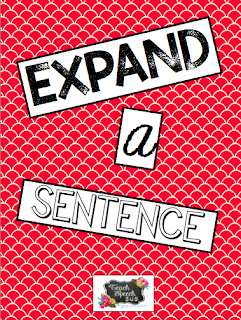 I'm bringing you a no prep freebie that will help your students expand their sentences by including adjectives. 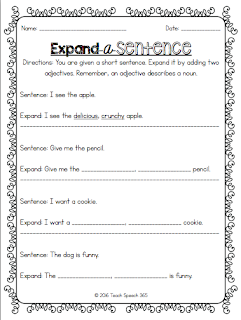 Included are 5 no prep worksheets. There is an example at the top for your students. 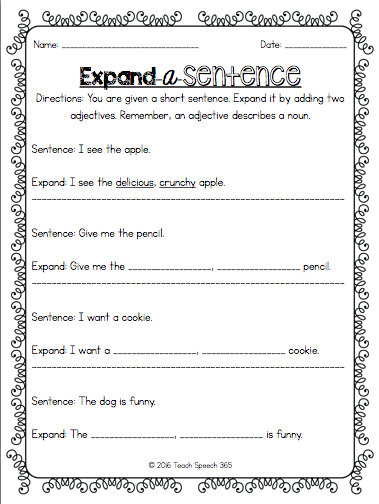 They are given three short sentences and have to add two adjectives to expand the sentence. Very simple!